If you could choose where your taxes go, what would they go toward? DENVER -- The tax deadline is right around the corner, and while some are filing their last-minute taxes, others in Denver are asking the question: What if I could choose where my taxes go? 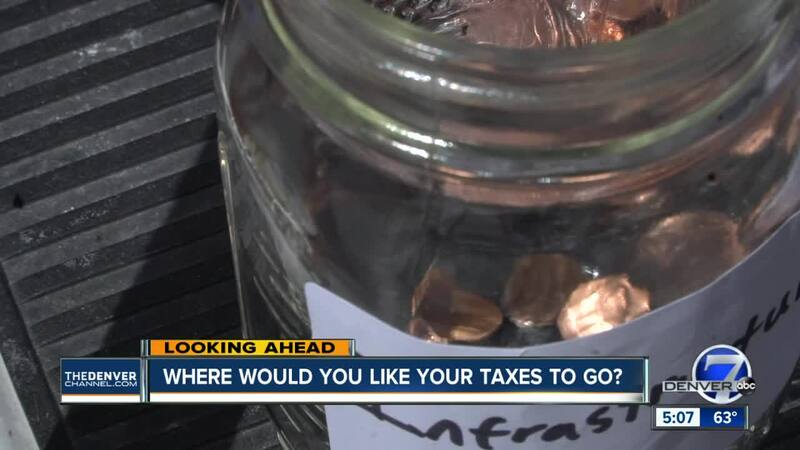 Denver7 went to the 16th Street Mall and gave people ten pennies to put into jars labeled with what they would choose for their tax dollars to go towards. IRS is offering tips to those who haven’t filed yet. "Information about free e-file options, such as IRS FreeFile, how to request an automatic six-month filing extension or fast, secure ways to pay any tax due using IRS Direct Pay are available online at IRS.gov," the agency said on Friday in a news release.